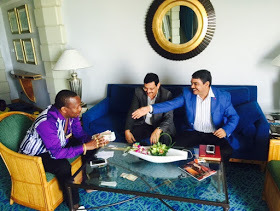 The glitzy and ostentatious Nairobi county senator, Mike Mbuvi Sonko is with no doubt filthy rich. He became a darling of many ever since her launched his political career. What many like about him is that, despite being wealthy, he is humble and down-to-earth. He is in deed a man of the people and his big heart was and still is the beginning of his glory. 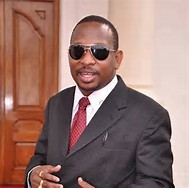 His philanthropic ventures have helped many and I am sure that you know or have heard of his marvelous Sonko Rescue Team which has really lent a hand to many Nairobi residents and Kenyans at large. Even though the source of his money is still surrounded by controversies, Sonko has help out many Kenyan Citizens and he is not stopping anytime soon.. 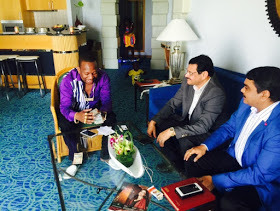 Recently the flashy and flamboyant senator visited Dubai where he plans to open an office for his fabulous Sonko Rescue Team. 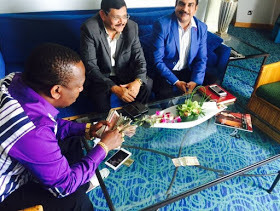 Below are photos of Mike Sonko dishing out dollars to anonymous Arab men he met for unknown business.